When something’s wrong with your feet, it can not only cause pain, but frustration and embarrassment, preventing normal activities. 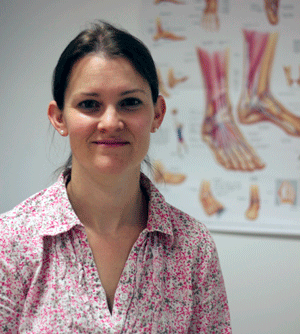 Nicola is highly experienced in assessment and diagnosis of the lower limb and has expert knowledge of the foot and ankle. She has a well established clinic and aims to truly know and understand your foot ailment and how its affecting you. Nicola is committed to offering the highest quality services and facilities to promote wellness, to relieve suffering and to restore painful feet and legs, swiftly and safely back to health. Nicola is here to work out what your problem is, how it was caused and how you both can work together to fix it. Very happy with my treatment yesterday. It’s nice to have a chat and relax while my feet are being pampered.